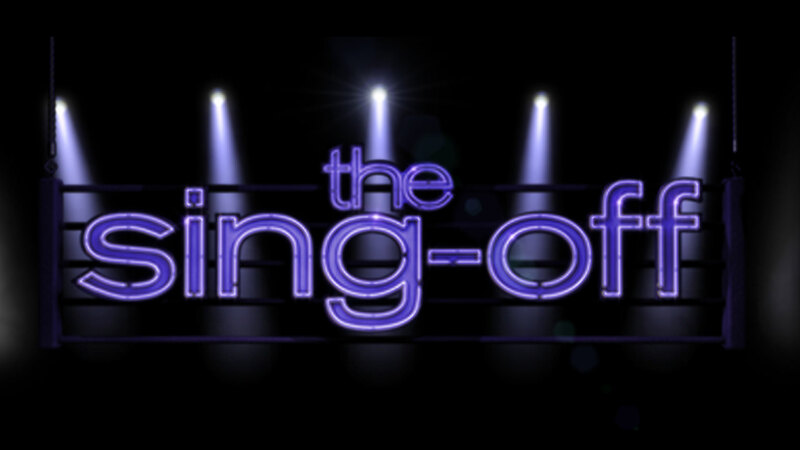 Let me be clear about this: I liked NBC’s The Sing-Off. Or, rather, I very much enjoyed the music, the performances, the various groups and their stories, and I bought the soundtracks. What I say here is not an attack on the show itself, or the performers, or the premise of acapella music and competition. I liked this show. What I did not like, and what I believe doomed it from the beginning, was how NBC handled the show. When I first heard about The Sing-Off, I was intrigued. I mean, sure, it was derivative to create yet another musical competition in the vein of American Idol, but I didn’t care about that! And for a show to center around acapella music? Color me interested! Which just strikes me as an absolutely terrible idea! I mean, why did The Sing-Off first appeal to me? Because of American Idol. And why did I watch American Idol? Because I could vote! I’d never heard of such a thing! A musical competition, or any competition, which was decided by popular vote? That was new and intriguing! So, right from the start I was able to invest in American Idol, as opposed to, say, Survivor, because I was participating in it. I enjoyed the judges in their commentary and banter. I loved getting to know the contestants as the masses were narrowed down to a dozen of the strongest candidates. Then to follow, even be a small part of, their journey towards potential fame and fortune. I got attached to all the contestants, the judges, the host, so much that I still remember their second season well over a decade later. Without YouTube, iTunes, Facebook, and such to keep them fresh in my memory! All because I could vote! But when watching The Sing-Off, it didn’t matter how much I liked the judges or the contestants. I got to know their stories in passing, but I was never able to be part of the action until the season finale, and even that got done away with in the fourth season. I didn’t need to sit down and watch it on television, enduring the commercials. I could just watch the clips on YouTube the next day, or even the next year, and still have exactly the same amount of influence on the outcome as the people who watched the “live” broadcast. Which was incredibly frustrating when I disagreed with who the judges sent home. The simple idea of letting the audience affect the outcome was so obviously good that it’s been mimicked and copycatted the world over! Be it the X Factor, The Voice, or the Got Talent shows of whatever nationality, or even Dancing With the Stars, these competitions have been able to draw the audience in to steadily watch them because of the voting. Because we, the audience, have been able to invest something in the show. And it shows in the ratings. American Idol has typically had a viewership in the range of twenty or thirty million, absolutely ruling on the television networks. The others have all regularly come in between ten and twenty million. But The Sing-Off? They’ve never cracked ten million, and season three, which arguably had the best overall talent and brought Pentatonix into the spotlight, barely ever broke five million, while also having the longest, and therefore most expensive, season of them all. After that, is it any wonder they didn’t produce a season the year after season three? It was two years before a fourth season, and the fifth “season” was a one-episode holiday special event. Which means what? Yes, there’s a demand for the show, for the music and performances, but they apparently don’t know how to alter the format into something more profitable. Simple solution there: air one night, include audience participation via voting, and air a follow-up the next night, even if it’s just half and hour long. There, done. Of course, it won’t happen, because they’ve already cursed themselves with a shoddy reputation, and five seasons of varying length with no voting whatsoever! Which all piles up into a big, darn shame! There have been some excellent performances on this show! And you better believe I bought the soundtracks, because the artists were great! With so much great material, this show really could have gone on much longer and stronger. Moral of the story: when you are flagrantly ripping off a successful idea which hinges on audience participation, do not do so without including the audience. This entry was posted in Muse-ings, Thoughts, What's New and tagged acapella music, American Idol, musical competition, NBC's The Sing-Off, Sing-Off. Bookmark the permalink.